Tuesday evening Kid Cudi announced via Facebook that he has admitted himself into rehab for depression, anxiety, and suicidal tendencies. In a lengthy post, and in the midst of a promotional tour to highlight his fifth studio album, Passion, Pain & Demon Slayin', Scott Mescudi cited a litany of reasons for checking into a healthcare facility. He stated that he wasn't at peace. He classified himself as a damaged human being. He acknowledged that there is a violent rage that exists within him and that crippling control anxiety and depression have taken over his life. It was a stark, heartbreaking jolt of reality. But it wasn't just Cudi's announcement that hit me. It was his overly apologetic tone. At the center of his acceptance and willingness to get help, Cudi said that he was afraid that he was disappointing those around him. He stated that he was sorry for letting others down and was ashamed of allowing the situation to reach its current level. Well here's a message to you, Kid Cudi: Don't be ashamed, because you're not letting anyone down. If anything, Cudi's commitment to saving himself should be viewed as an act of courage and hope. Kid Cudi bows out of "Empire" Season 3 due to "creative differences"
You see, depression is an issue that I've become all too familiar within the last couple years. Not too long ago, I was sitting in my 2012 Ford Focus, heavily inebriated as a result of downing a six-pack of Cayman Jack and a fifth of Grand Marnier. I was entrenched in a steady state of decay, rapidly losing my grip on reality, and unable to cope with my seemingly endless list of failures. To make matters worse, the more I tried to reconcile my issues, the more I sank into despair. Never mind the fact that I was a married father of two with an enviable job and an impressive sneaker collection. I was filled with worry, sadness, anguish. At the time, I believed the only viable solution to escape my sorrows was death. On this particular night, the urges to meet my maker had never been stronger. If it weren't for a few fortuitous events that evening I'm not sure I would be alive to write this. 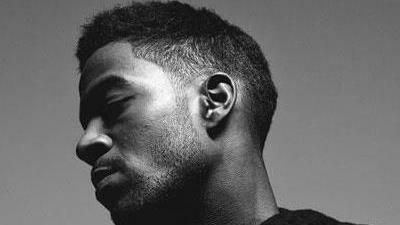 And thanks to Kid Cudi's melancholy lyrics and infectious, syncopated rhythms, I found solace in his music. While the treatment and diagnosis for depression has grown exponentially with advancements in modern medicine, the illness is still considered taboo in many cultures. The African-American community is among these, as depression is commonly misdiagnosed as merely being sad. We frequently oppose therapy out of a misguided obligation to keep our issues hidden, or worse, for fear of appearing weak. Sitting on somebody's couch talking about our trivial worries isn't going to solve our problems, or so we think. For black males especially, the maintenance of false bravado and masculinity prevents us from acknowledging our thoughts and seeking the proper care that we need. In the case of celebrities dealing with personal demons, we tend to brush it off as isolated issues of overindulgence and lack of accountability. We define their struggles as being mere fabrications of the environment and lifestyle they have chosen to adopt. We rarely empathize with their illnesses because we don't acknowledge them as such. We trivialize their pain by saying things like, "They're rich and famous, what could possibly be wrong with them? Maybe if they didn't use so many drugs, they'd be fine." But pain and struggle are relative. One cannot begin to fathom the hell people endure. Celebrities are people too. And while fame, money, and social media present an opaque facade that distracts us from underlying issues, the absence of trouble within the public eye doesn't mean that it doesn't exist. Which makes Kid Cudi's decision to seek help so remarkable and necessary, not just for his well-being, but for others as well. Too many times we don't know of black celebrities' struggles until it's too late. I remember when actor Lee Thompson Young, who played the main character on Disney's The Famous Jett Jackson, committed suicide at 29. We were shocked. Many of us couldn't fathom what drove him to end his life so young with so much promise. After all, Young possessed a multitude of enviable traits such as good looks, charm, and charisma, and his acting career seemed to find new life as he was starring in more television roles. But little did we know, he was struggling far greater than anyone could have imagined. For those of us who have thought of taking our own lives, suicide is not a cry for help. It is not an over-dramatization or an act of selfishness. It's not just a failure to cope or find solutions to our problems. For us, suicide is the solution. It's a means to end the sorrow that has become our existence. It's flawed, misguided, and heart-wrenching. And without the proper guidance, support, and counseling, it will kill us. With Cudi's admission into a treatment facility, at least this time, we aren't catching wind of his struggles after the fact. I don't know what's occurred in Kid Cudi's life for him to reach this point, and frankly, it's none of my business. But I'm elated that he's seeking a way to improve his mental state for himself, his daughter, the people around him, and his fans. Maybe this act provides a glimmer of hope for someone else to follow. Personally, I'm happy an artist that I admire, and whose music provided comfort during my darkest time, is committed to this journey called life just a little longer. Stay strong, Kid Cudi. You've got nothing to be ashamed of.